One dimensional trucks that only know how to push and pull things while looking like monstrous beings as they navigate the road may have been the popular choice in the past, but the future is ready for something a bit more multifaceted. Toyota trucks are like no trucks you have seen before. While they maintain the tradition of boldness, they have evolved in every other category including style and intelligence in order to create a pickup truck that prioritized cohesiveness over boldness. Brashness is what keeps Toyota trucks moving strong no matter what they are put through. In order to become a Toyota truck they must first be able to handle any environmental condition such as problematic weather and unsteady terrain. Not only that, but they must also be able to live long and proud lives. The way Toyota accomplishes this is by designing their trucks with materials that are both lightweight and high strength. This not only makes them resilient but increases their acceleration and overall performance output. In addition to this Toyota also integrates each Toyota truck with impressive off-roading capabilities that are designed to be smart, effective, and easy to use. Toyota trucks live to show off with their stylishly bold looks that are beautifully designed with each and every detail in mind. 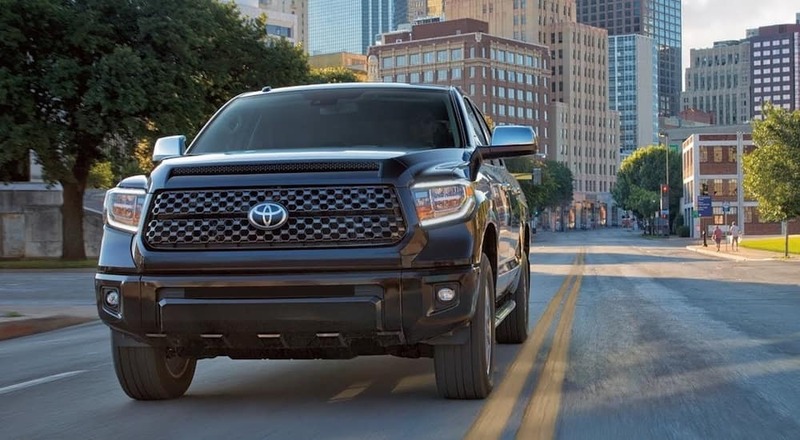 Grille, headlamps, tail lights, mirrors, wheel placement, framework, and every single curve have been taken into consideration when it comes to creating the entirety of the Toyota truck. Not only does Toyota consider the details themselves, but they make sure these minor details fit together cohesively with every other aesthetic-enhancing feature in a way that creates appealing vehicles. Brilliance is one of the things Toyota does better than nearly any other automotive manufacturer, and they do not draw the line at their trucks. Toyota trucks are as brilliant as any other vehicle on the Toyota lineup. With enhanced technology that was designed with a purpose and tested to assure that it makes the lives of drivers more enjoyable. Safety and fuel efficiency are what Toyota mainly focuses on these days for obvious reasons. When it comes to safety Toyota trucks have been integrated with both passive and active safety features that will help you stay in control at all times, build your overall awareness of the environment you are driving in, and protect you in case the unavoidable does occur. When it comes to fuel economy, Toyota has been working tirelessly for years in order to find the best fuel type and engine pairings in order to get the most eco-friendly and cost-friendly option to as many drivers as possible. Amazing progress is being made and Toyota trucks are ready to be a part of the solution. In addition to that, Toyota trucks are also fitted with a top-of-the-line Toyota infotainment system that will allow you to use your smartphone to stay connected to the outside world and access your favorite apps. These are just a few of the more innovative ways that Toyota trucks break the mold that big can’t be brilliant. More important than any other quality on the list is balance. Being balanced means that Toyota trucks will always offer drivers what they need when they need it. When you need strength, it will push its limits to tow what you need it to. When you need to make a good impression, its style will shine to light up the road. When you need something that can take driving to the next level, it can use its brilliant tools to help you get there. Trucks were never meant to be just one thing and that is why Toyota trucks are always fitted with a little bit of everything. It is obvious that Toyota trucks have what it takes to ride with the best but let’s get a closer look at the types of Toyota trucks offered today. Towing capacity: 3,500 to 6,800 lbs. Curb Weight: 3,980 to 4,480 lbs. Towing capacity: 6,400 to 10,200 lbs. Curb Weight: 5,100 to 5,680 lbs. 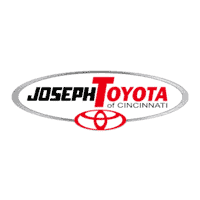 At Joseph Toyota our service is always about your automotive needs and how we can best provide for you. We train all of our staff to stay flexible so that we can be sure to give every customer a unique and customized service experience that is sure to lead to satisfaction since it was literally designed for you. In order to be flexible, our staff has been trained in two things, knowing how to show respect and knowing our inventory inside and out. Respect is all about listening to a driver’s needs carefully and responding with a clear and honest answer that will hopefully give them insight and will most certainly avoid games. As for our inventory, it is always filled with the best Toyota trucks, cars, and SUVs that are sure to grant drivers a strong sense of satisfaction and freedom. So if you are looking for a provider that treats your needs as a priority, Joseph Toyota is always ready to help.